Sometimes it can be hard for children to understand the difference between prayer and worship. It’s helpful to explain worship as being about telling God how great He is and celebrating the wonderful things He has done for us. 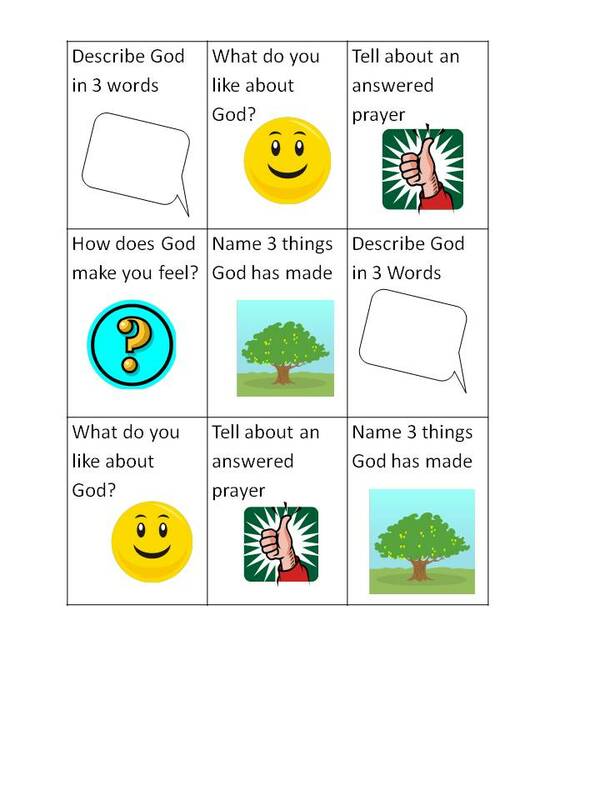 Here is a little game I’ve made to try and get the children to practice thinking about who God is and why He’s amazing! Play the game in pairs. Each person uses different colour counters. Choose a square and when you have completed the little task, you can put your counter there. The first person to get 3 counters in a row is the winner! 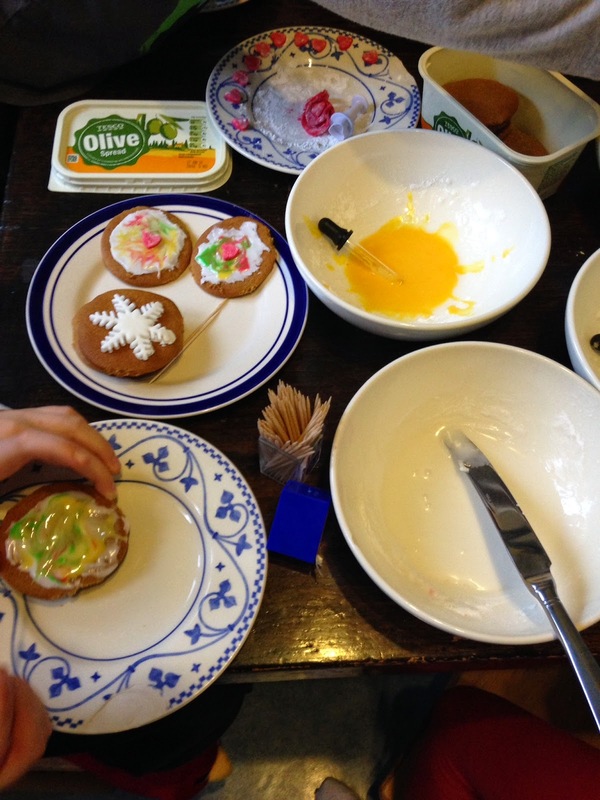 You will need: Biscuits (at least one per child), icing sugar, water, food colouring, eye-droppers (unused!! ), knives for spreading, cocktail sticks, heart shaped sprinkles or hearts cut out of fondant. Read Psalm 148 together or talk about the great things about who God is. What do you want to celebrate about Him? What is praise? How can we praise God? What does worship feel like? How would you express praise in colour? Set out your equipment and get ready! Make up a bowl of thick white icing with the icing sugar and some water. Then make up some individual bowls of different coloured icing, slightly more runny in consistency than the white icing. 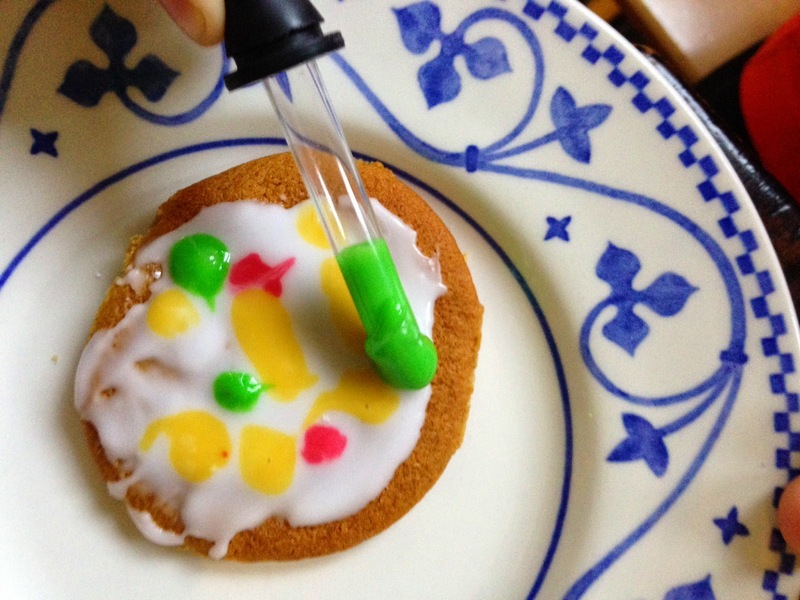 Spread a biscuit with white icing and then use the droppers to drop dots of coloured icing on top. 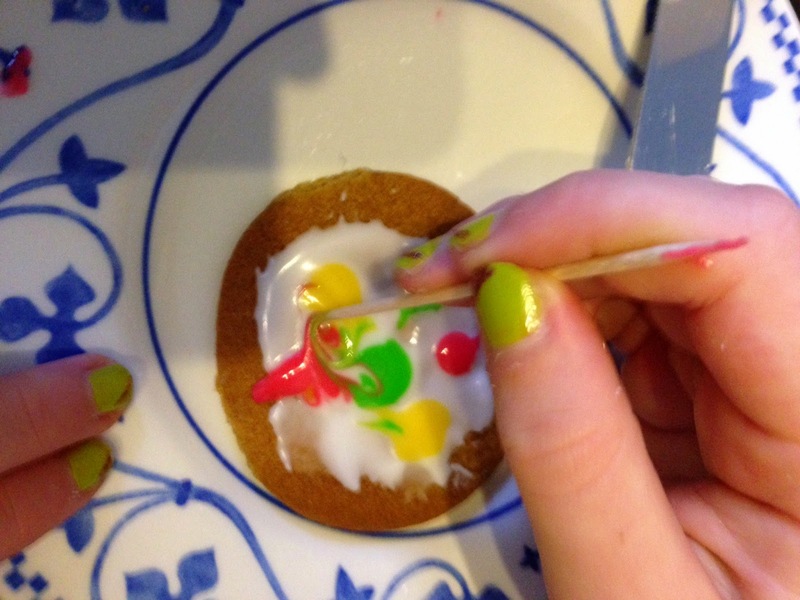 Use a cocktail stick to make swirls in the icing, expressing the colourful, imaginative, amazing nature of God- let the children do this as the mood takes them! 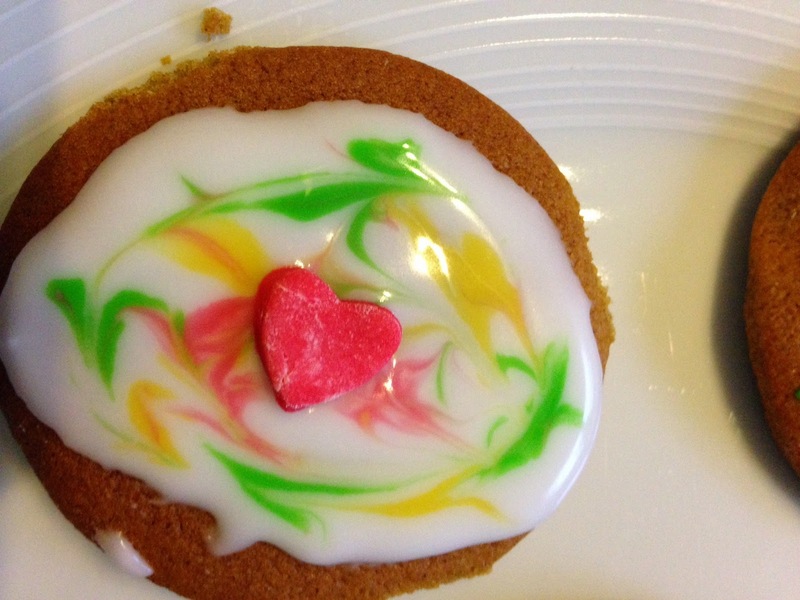 Add a heart to the top of the swirls as a reminder of God’s love for us and our love for God. Finally, eat the biscuits and thank God again for how Good he is! With thanks to Tanya Lord for these ideas. Speak to the children about what worship is e.g. telling God how great he is and thanking him for all of the wonderful things he has done for us. 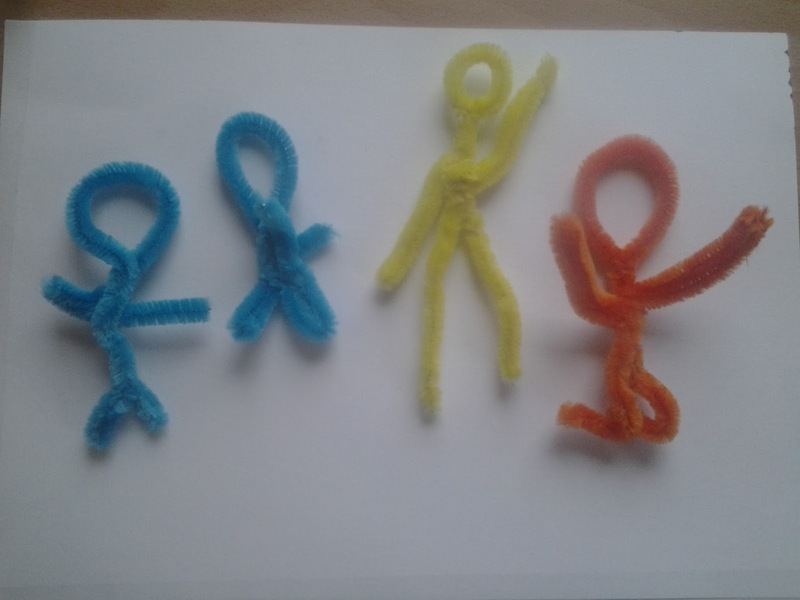 Then ask them to use a pipe-cleaner to make shapes representing an aspect of who God is, how we respond to God in worship or what they would like to say to Him. Expect some fascinating responses! 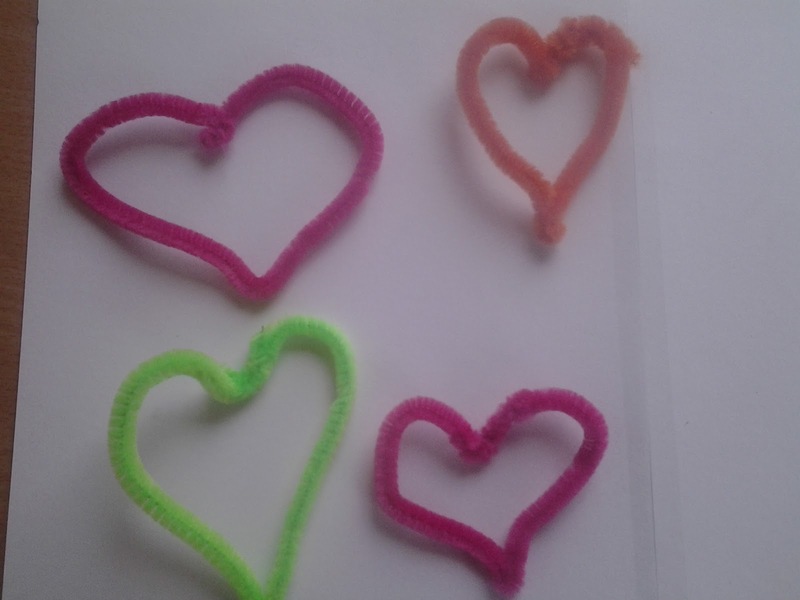 Various hearts to reflect God’s love of us and our love for God. A dove to symbolise God’s purity. 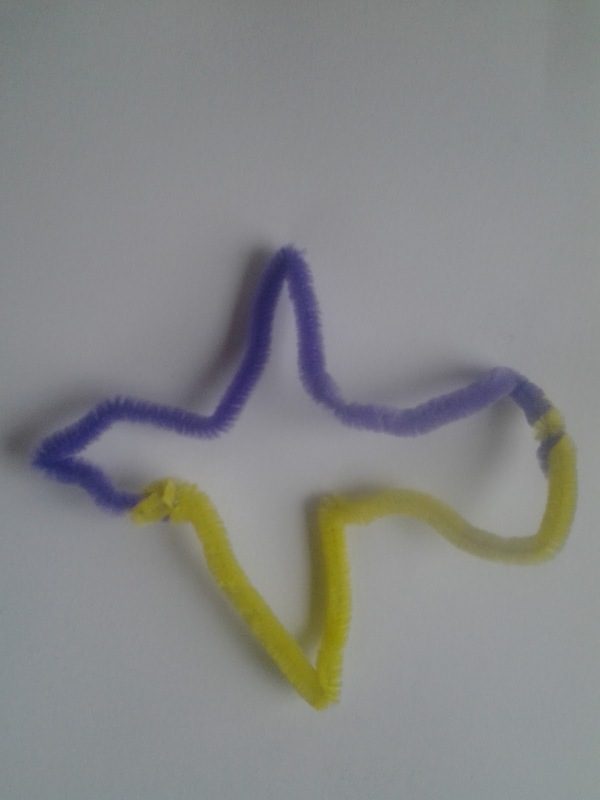 This child then said that half of the shape was yellow because God was ‘golden’. 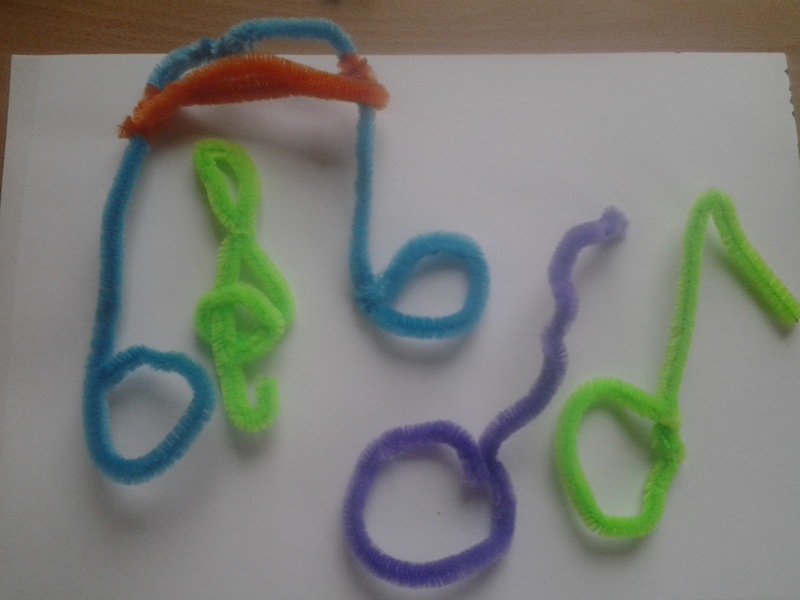 A variety of musical notes from children who found beauty in the music a reflection of God.